If you, or your customers are still using B&R 6.5, please keep in mind that we will stop supporting this version along with our v8 release, which is planned for early Q4. So please take the opportunity of slow summer time to perform the upgrade to v7. New releases typically increase load on our technical support team, which may in turn increase response times to handle possible upgrade issues (although frankly, we are not getting a lot of those for v7). So if you’re still using Veeam 6.5 in production. Start working on your RFC to upgrade to Veeam v7. This entry was posted in Veeam and tagged 6.5, 7, Backup & Replication, support on August 13, 2014 by afokkema. This article describes the Issue, the servers and BIOS version that are affected by this issue and the BIOS upgrade to fix the issue. I have also added a PowerCLI script to check if your HP servers are affected by this issue. You can find it at the bottom of this article. 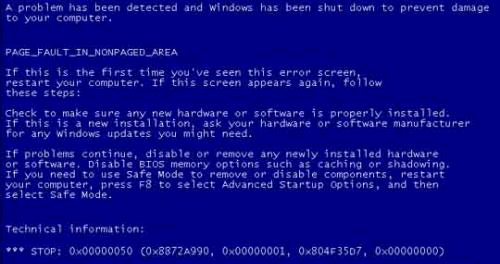 Random BSOD’s on Windows servers running Windows 2008R2. VMware has a KB article KB2073791 about this issue. You can find a workaround described there. In he mean time HP and also other vendors released a BIOS update to resolve this issue. IMPORTANT : The System ROM update provided in the Resolution is recommended to prevent the issues below from occurring. HP recommends performing this upgrade at the customer’s earliest possible convenience. Neglecting to perform the recommended action and not performing the recommended resolution could result in the potential for subsequent errors to occur. Intel has identified a processor issue where Virtual Machines (VMs) running on VMware ESX 5.x or Microsoft Hyper-V may experience a Blue Screen of Death (BSOD) in a Windows virtual machine or a kernel panic in a Linux virtual machine when using VMware ESX 5.x or Microsoft Hyper-V. This issue affects Intel Xeon E5-2400 series v2, Intel Xeon E5-2600 series v2, Intel Xeon E5-4600 series v2, Intel Xeon E7-4800 series v2, and Intel Xeon E7-8800 series v2 processors. Intel has released an updated microcode for impacted processors that addresses this issue. Updated revisions of HP ProLiant System ROMs for impacted servers include this microcode. This issue is NOT unique to HP ProLiant servers and could impact any system utilizing affected processors if the updated microcode is not utilized. This issue does NOT affect servers configured with Intel Xeon E5-2400 series, Intel Xeon E5-2600 series, or Intel Xeon E5-4600 series processors. But what if you’re using Dell hardware. Well please take a look at http://itnervecenter.com/content/windows-bugchecks-vmware-esxi-xeon-e5-2670-cpus for more information about issue and the fix. update: PowerCLI script: compare dates fixed. I created a script to see if the hosts are affected by this issue or not. The script will collect all ESXi hosts with HP hardware and the V2 Xeon processor installed. All those hosts are checked by Model, for instance DL360 Gen8. If the Model matches, the script will check the release date of the BIOS and returns a line of text in Red if the release date is older than the one mentioned in the HP Advisory: c04327904 or else a line of text in Green if the release date matches or newer than the one mentioned in the Advisory document. This entry was posted in Hardware, VMware and tagged BSOD, CPU, Xeon on June 17, 2014 by afokkema. 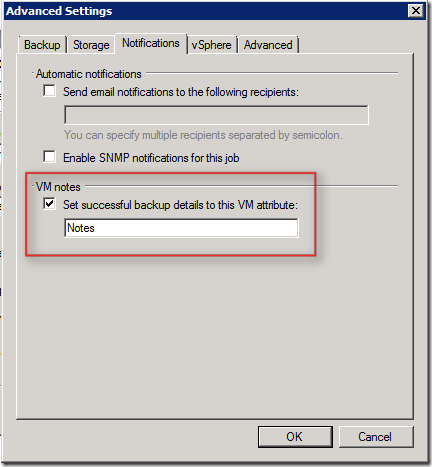 Just a quick tip when you’re using vShield and want to prepare a new ESXi host. When you click on the vShield tab inside the vSphere client you might see the message “Host not reachable”. This entry was posted in VMware and tagged ESXi, vShield on January 3, 2014 by afokkema. After upgrading a vSphere 5.0 update 2 host to vSphere 5.1 update 1 we noticed an issue with the lsassd daemon. Right after update manager finished with the upgrade the lsassd starts to write a lot of messages. 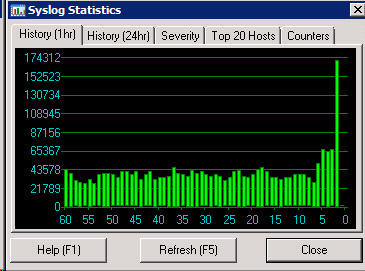 Within the last 5 minutes the syslog server received 170K log messages from the upgraded host alone. To work around this issue you need to leave the Windows domain. 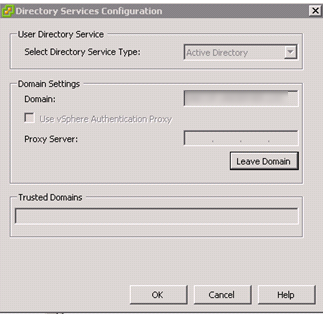 Select the host – Configuration – Authentication Services – Properties. Click on Leave Domain… The excessive logging hast stopped immediately. After that you can rejoin to the Windows domain again. This entry was posted in VMware and tagged Active Directory, ESXi, lsassd, Upgrade on November 7, 2013 by afokkema.